Dame Elisabeth Schwarzkopf, DBE, was a German-British soprano. She was among the foremost singers of lieder, and was renowned for her performances of Viennese operetta. After retiring from the stage, she was an international voice teacher. 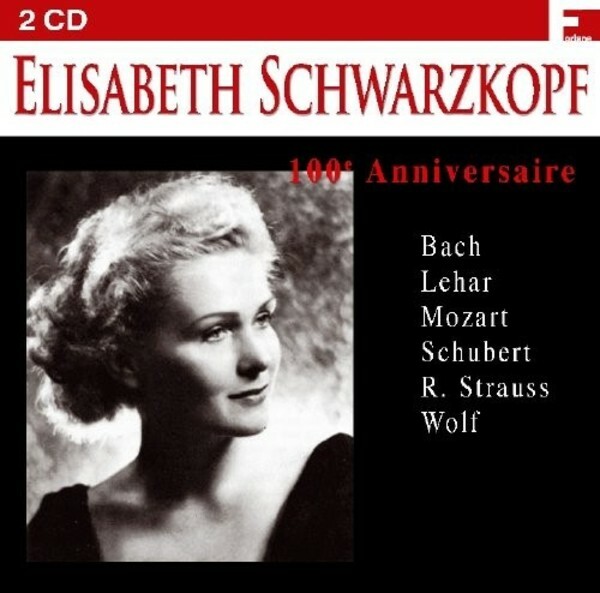 This keenly priced 2CD set highlights the supreme voice that was Elisabeth Schwarzkopf.